In Store & Online: This page will list Belk's latest coupons in store or online, don't need to go crazy looking for them. Sign up to get email updates from Belk and receive coupon savings when available. Sign up is at the bottom of their homepage. 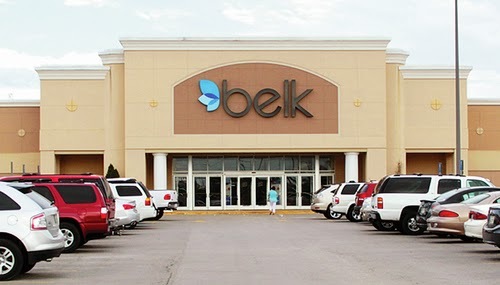 - Text 'COUPON' to 23551 to get Belk mobile coupons. - Seniors Over 55 Get Extra Savings. In Store: Get 25% off regular and sale priced items, 20% off home and shoes, and 15% off coffee and small appliances. To use online enter code: 35707734 at checkout. In Store. Print this Belk coupon and get a $20 discount on regular & sale priced purchases storewide over $75. In Store: this shopping pass takes an extra 25% off regular & sale purchases in men's suits, suit separates, sport coats, dress slacks, dress shirts & ties (20% off mens shoes). Print coupons or show on mobile device. Save up to $30 on purchases over $150. Spend $30 or more on regular or sale items storewide and get $10 off. Print this coupon from Belk and get 20% off men's tailored clothing, includes suites, dress pants, and sportcoats. Plus 15% off Men's Dress shoes. Enjoy 25% off almost everything in store, 15% off home and shoes, 10% coffee and electrics. 15% off cosmetics and fragrances, 15% off home and shoes. Get $20 off your first $100 or more of regular or sale priced Karen Kane purchase. Print coupon and get 20% off regular and sale priced fine jewelry at Belk stores. Get an extra 10% discount on clearance purchases storewide. Belk is a retail department stores featuring furniture and other home products, clothing for the family, jewelry, watches, fragrances, and luggage. Their prices are very competitive, use the coupons above for extra savings. If you shop Belk store frequently make sure you apply for their Belk rewards program, Belk card holders get impressive deals plus you they earn points for extra discounts in addition to their coupons.